Today’s vacuums come in all different configurations, sizes, and price ranges. Whether you want an upright, canister, handheld, cordless stick vac, or steam cleaner you will undoubtedly have MANY choices. For a lot of people the ultimate decider will be which vacuum has all the features they need at the price level they are looking for. This is the main reason we review so many different cleaners, to help you decide if a certain model meets your needs. This article will be a little different in that we will take a closer look at a few different cheap vacuums that fall at or under the popular pricing of $200. While the more expensive brands are certainly worth it, and most have advanced features like fully sealed HEPA filtration and ultra powerful suction. However, features like these come at a cost which might not be justified for your specific household cleaning needs. There is no reason to spend several hundred dollars or more on a new vacuum cleaner if you aren’t going to use what it has to offer. The first thing to do when buying any new vacuum is to take note of all the things you need it to do. Do you need a full sized, whole household cleaner? Then you will want to look at a larger upright or canister. Or are you only looking for a cordless machine that you can use anywhere you need to (on the go cleaning)? The answers to questions like these will have a huge impact on your decision and should be the first place to start. 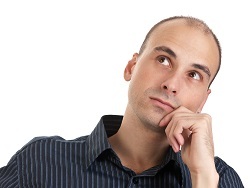 After you have decided what main features you need you should next consider your budget. Since you are reading this you are likely looking for the best vacuums priced somewhere around $200 or under. These are definitely among the more affordable models but they aren’t necessarily cheap in quality. In fact, the recommendations here provide tremendous value for the relatively low investment. Here are our top recommended choices in the popular categories of upright, canister, handheld, and lightweight or stick vacuums. Filtration is top notch on this Shark as it comes with what they call their ‘Anti-Allergen Complete Seal’ technology. This is a fully sealed system with a HEPA filter that is designed to trap 99.9% of the smallest dust particles inside the vacuum before it can escape back into your home. A good filter is only one part of the system, you must have it sealed as well. You don’t want to spend time vacuuming your carpets only to have the dirt somehow find its’ way back into the fibers. Two additional foam filters work together to make this one of the best performing upright vacuums in this low price range. Other features include an extra large capacity collection cup, a swivel steering design so you can easily move around furniture, LED lights to really illuminate your path, and a unique dusting brush that can also remove stubborn pet hair from various surfaces. Shark is known for innovation and when you see the Rotator Lift-Away in action you will see all of it on display. Click here for current prices and to read online reviews at our recommended supplier. The Bissell Hard Floor Expert is a multi-cyclonic bagless canister vacuum designed mostly for hard floors and low pile carpets. It has a low profile design with large wheels that makes it easier to move around your home and much less prone to tipping over. This is something that plagues many lower priced canisters but the Bissell solves that problem. The Turbine Foot attachment is probably the best feature and one that really sets it apart from the competition. It has a wide profile that picks up a a lot of dirt particles, pet hair, and other debris that you would find on your hard floors. It is gentle enough for tile, hardwood, and laminate but the brush is uniquely designed to agitate anything that is stuck to the surface. This tool is what puts the ‘Expert’ in the name, it really is an expert at cleaning your smooth floors. Other features of the Bissell Hard Floor Expert canister include a multi surface foot tool that works well on low pile rugs, a compact lightweight design for maximum portability, a telescoping wand for extended reach under various items, and multi-cyclonic suction that keeps the power constant throughout the entire cleaning session. The only thing this model doesn’t do well is clean high pile or thick carpeting. It just isn’t heavy enough to get the brushes down into the fibers which is necessary for removing all the dust particles. To learn more about it and check pricing, click here to visit our favorite eCommerce store. 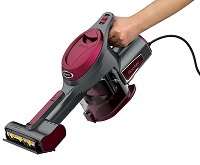 The Shark Rocket Hand Vac (model HV292) is a corded model that they call their most powerful handheld, one that never loses suction or power due to clogging. It is very lightweight at just under 4 pounds which allows you to use it for extended periods without tiring your hand or wrist. This makes it ideal for a lot of different things including quick pick-ups of spills in the kitchen as well as full car interior cleaning. As long as you have access to an electrical outlet you are good to go. While this is a disadvantage over similar cordless hand vacuums it does have a lengthy 15 foot cord. And the electric connection is what gives it so much power. The TruePet attachment is motorized which helps it remove pet hair from any surface. The brush spins to agitate the dirt or other debris so it can be quickly picked up. A stretch hose is included as well so you can reach down into places where the main body of the Rocket just won’t fit. This is a unique feature when compared to other handhelds as the Shark engineers recognized the problem that many popular models have. Some of the notable features of the Rocket include washable and reusable filters, an easy to empty dirt collection cup, and other attachments like a dusting brush and crevice tool. One thing to note is it does not come with suction control settings so it is always at max power. However, this isn’t really a problem with a handheld as you typically are using it for a dedicated mess. It’s no surprise that a Shark has made this list as they are one of the best and most innovative companies in the home vacuum cleaner industry. Click here for pricing and to read online consumer reviews. The Bissell Bolt Pet is a lithium ion powered cordless stick vacuum that features a handy 2 in 1 design. It operates in full upright mode as well as a hand vac, as it comes with a fully removable handheld body that works with a variety of attachments. This gives it a big advantage over other brands as it will easily fit in small spaces. Plus you get the same powerful suction in handheld mode that you get when it’s in the standard mode. There are a couple of reasons why the Bolt is good for animal owners as well. It comes with a specially designed Sweep and Scoop tool that makes it much easier to remove small debris like cat litter or food particles from your hard floors. The Pet Hair nozzle works great on fabrics by agitating stubborn hairs that are stuck to the surface. This lets the powerful lithium ion battery do its’ job and pull everything up into the collection bin. Pets can make quite the mess around your home so you need to have a vacuum like this that is ready for a quick pick-up. Other features of the Bissell Bolt include an ample 25 minutes of run time on a full charge, a 2 way flex handle that folds forward and back, and an extra large dirt bin which requires fewer trips to the garbage during use. You also get a rapid charging base which will have it back up to full power in less time than you would expect. 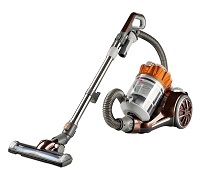 It’s one of the better stick vacuums available today, especially in this price range. Click here for more information including detailed specs at our top recommended online store.